I remember so well, in 2017 on a sunny afternoon in Rome, in our apartment on Piazza Cavour, meeting with Salvatore Matrone and talking about his new venture, Leonardo Officina Italian. 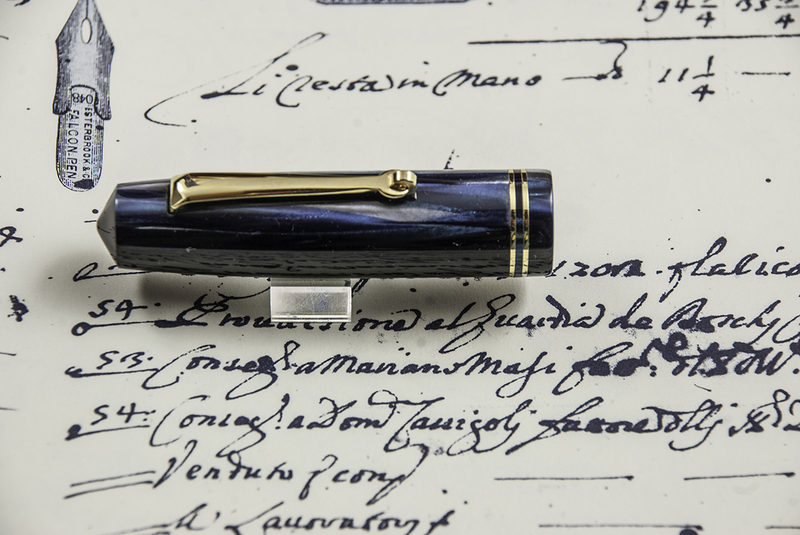 I thought, here is an exciting new Italian pen company. A company that is not only filling the gap left by other companies that have ceased - that included at the time Delta and OMAS - but creating something new. 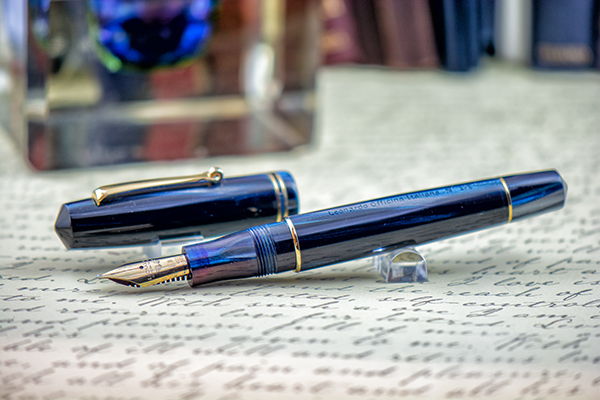 Salvatore has both family and person experience with fountain pens. 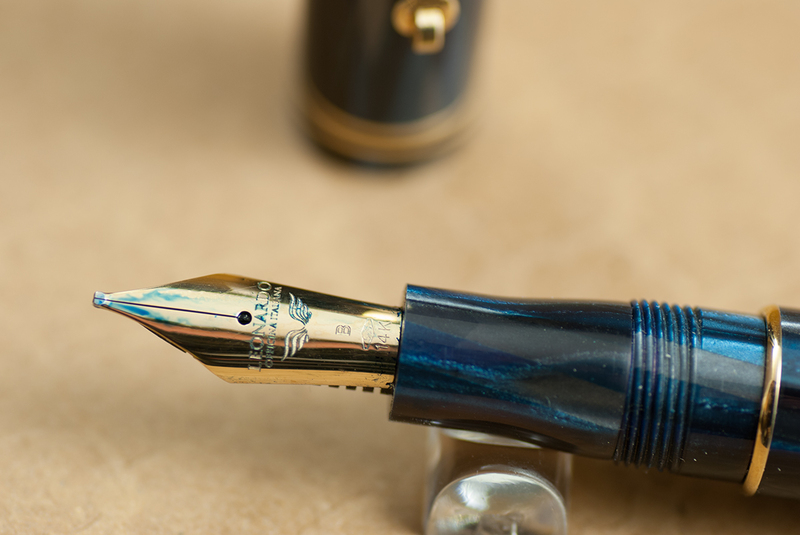 As he talks, I can feel his passion to create well designed and made to high standards, fountain pens that will be cherished by their owners. At the time, I was very fortunate to have the Momento Zero, No 1 of 1. 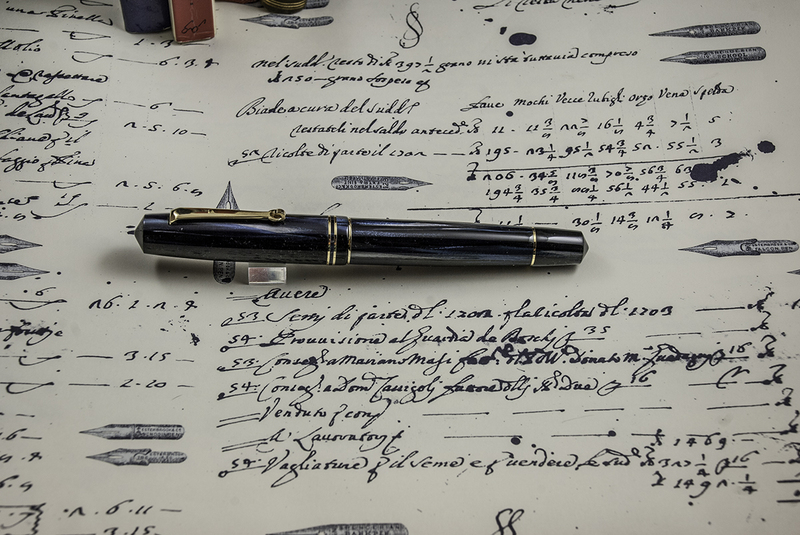 I loved writing with this pen from the start and to this day I rank it among the best of my fountain pens in style, craftsmanship and writing experience. Officina means is a workshop where goods are crafted, and Italiana of course means what one would expect, with Italian style. The company, Leonardo Officina Italian, is led by Salvatore Matrone. He has a design background as well as experience with Delta, which has created a range of high quality and innovative pens. 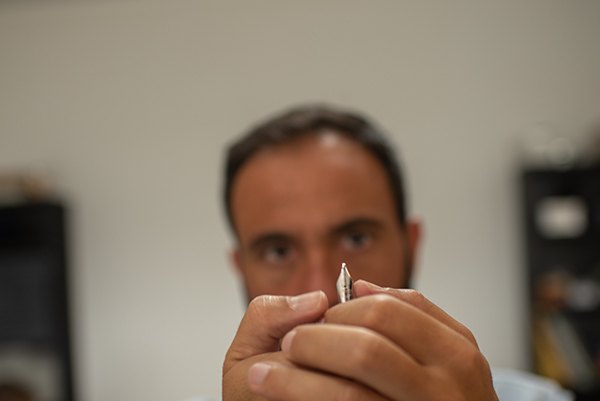 Along with Salvatore a small group of dedicated individuals work to create and market the pens. In 2018 I have the opportunity to visit the Leonardo workshop which is located near Casserta, a short drive from Naples. Salvatore talked about the manufacturing processes. 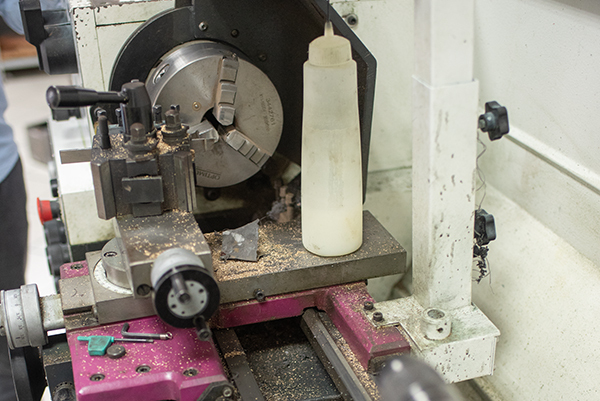 Pens were being produced and I got a personal view of the work being done. These are quality pens and they are manufactured by hand. Leonardo uses the equipment needed to bore and polish rods of celluloid or resin. 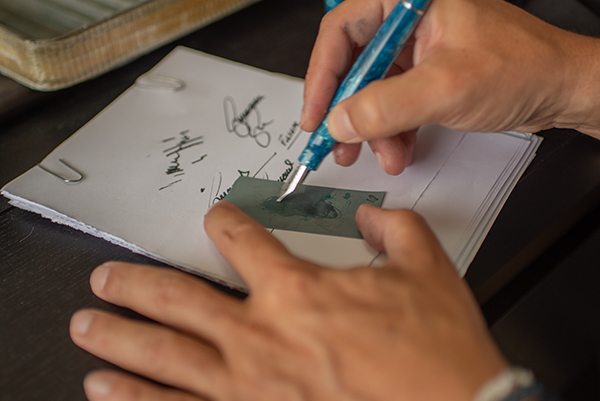 It is an artful craftsmanship method, rather than a volume process to manufacture fountain pens. 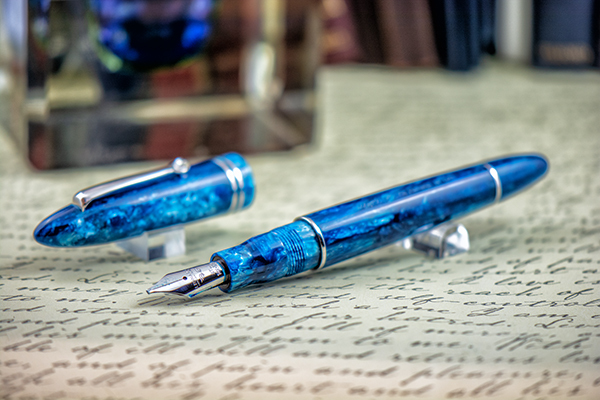 The company has produced pens for the Armando Simoni Club and has goals to much to offer truly fine fountain pens. 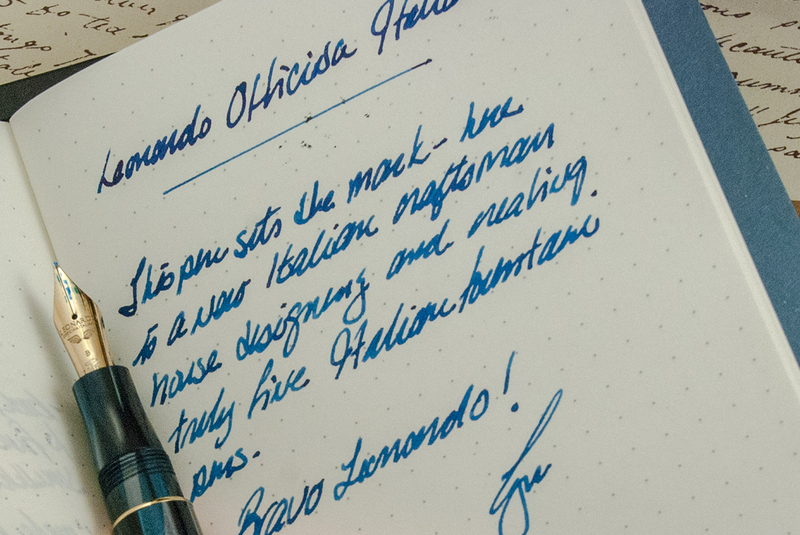 In 2017 Leonardo issued its own line of fountain pens, the Momento Zero. 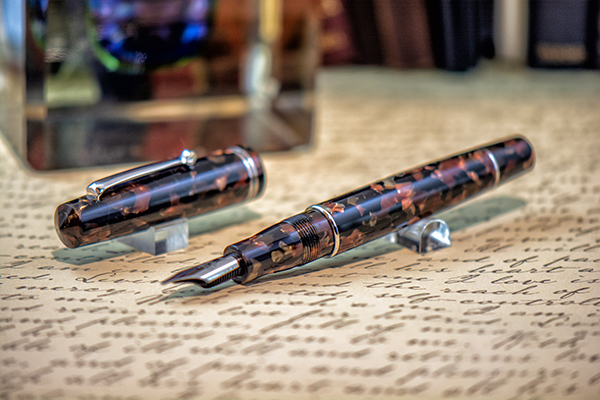 The pens came in Limited Edition celluloid as well as resin versions. The reception from pen uses has been extremely positive. 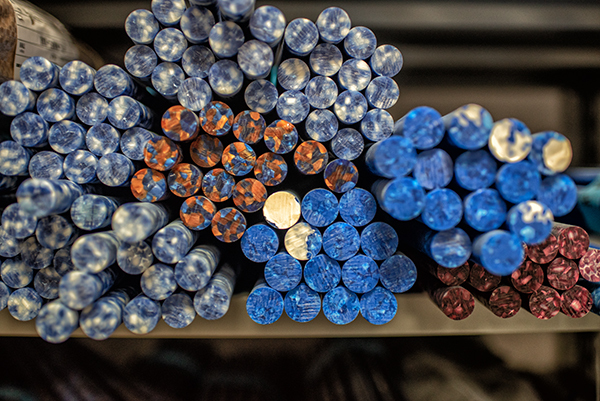 Rods of celluloid and resin are hand-turned to create the fountain pens. 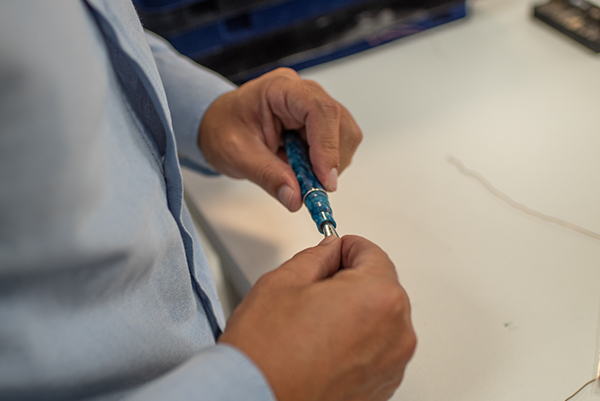 Each of the various parts of a pen have to be made to precise measurements and are polished for smooth holding experience. 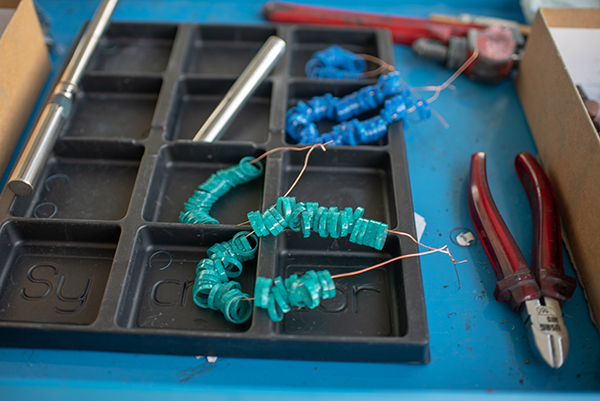 Celluloid and resin rods are worked by hand with machines to make the bodies, caps and parts. There are no conveyor belts in this workshop! 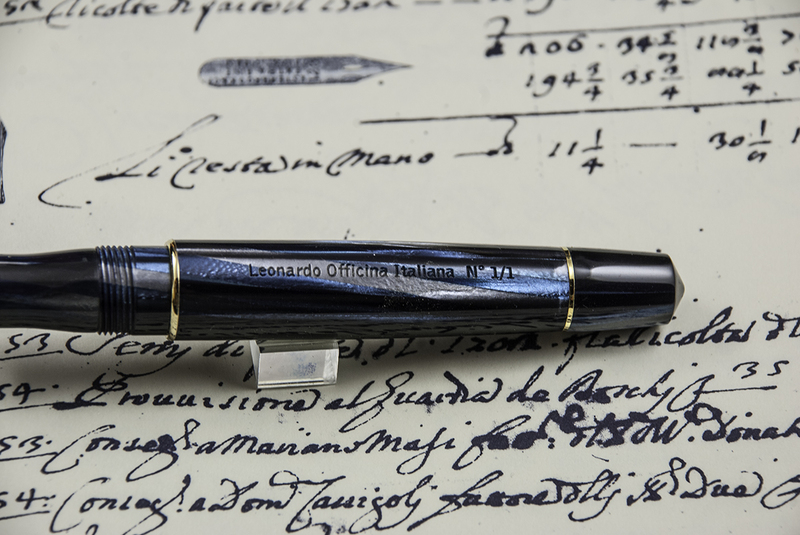 A pen from Leonardo Officina Italiana is about the writing experience.